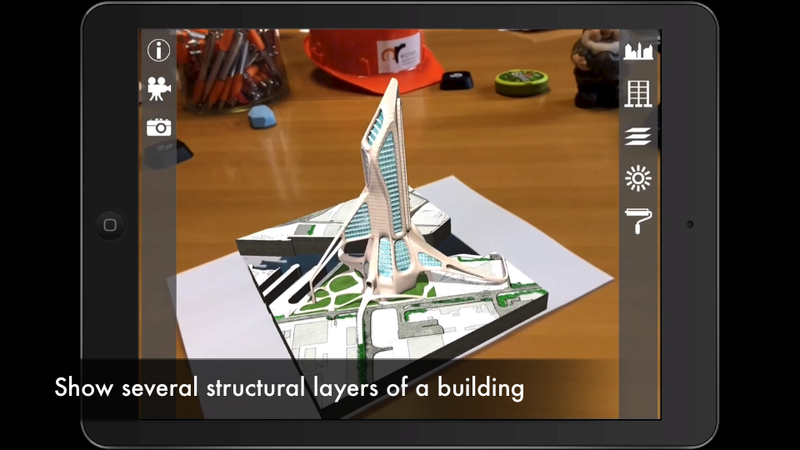 AR gives the possibility to place the new building at the foot or around of the potential client – like it was really there. 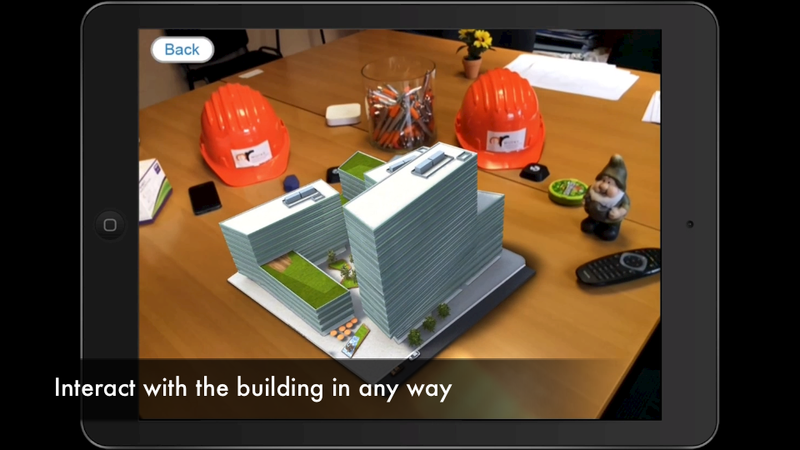 The client can walk around it, zoom in, zoom out, can discover not just the static surrounding but the animated parts, which makes the content a lot more real. 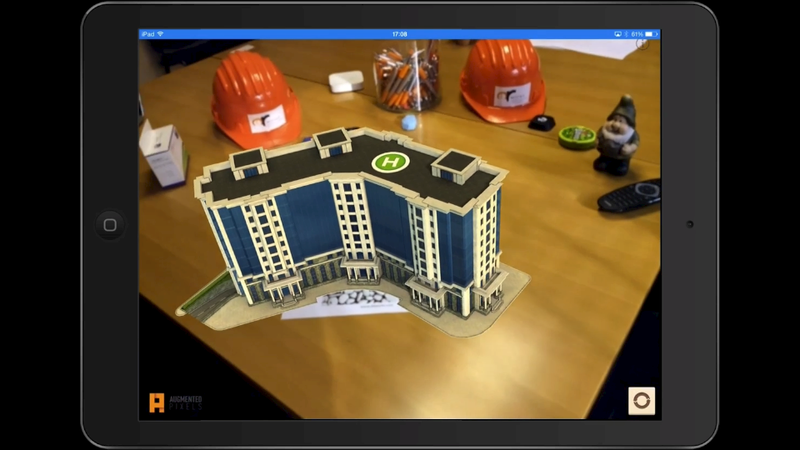 Moving cars, flying clouds, lights switched on – all of these are possible with AR. 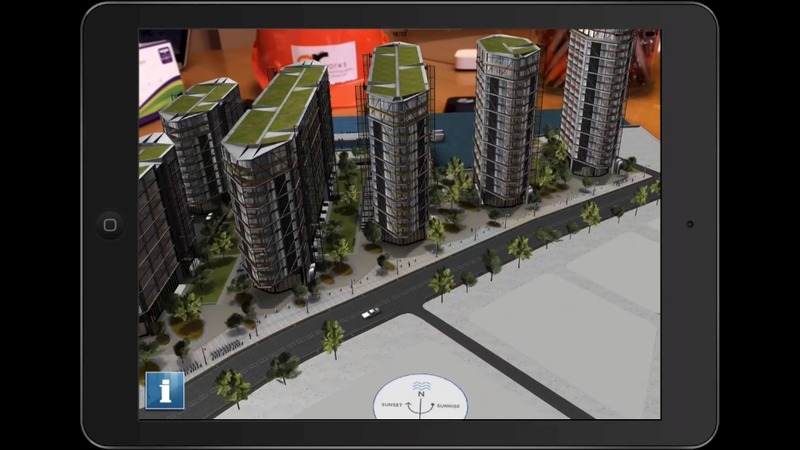 For the video, we’ve used the following apps: Modus Matrix, Quadrum, BizPark27, Advice 3d, ARki, ImpactAR,Rosatom,3D Property Viewer, inreal3d, Jumping Rotterdam, Visuartech, Luminem et Irrigo.